Craig’s project aims was to showcase the very private relationship between a man and his shed. A man’s shed is a place to shelter not just from the rain but from the ups and downs of daily life. It is as much a mental as a physical hideaway. By tradition the shed is a male preserve where a man can retreat – a sanctuary. Isolation, loneliness and depression are major health issues for many men, which is compounded by a male culture of not talking about feelings/emotions and not taking an active interest in their own health and wellbeing. The traditional backyard shed, provides a relaxing place for men to meet and continue a hobby, learn new skills, or just pop in for a chat and a cup of coffee, tea or a cold beer. The concept of Men’s Shed collectives plays a significant role in reaching the marginalised in our society and reducing isolation by connecting men with each other and their communities. Community involvement gives an opportunity for men to be involved in something meaningful and make a positive contribution to their community whilst providing a safe, friendly and inclusive environment to gather and work on meaningful projects in the company of other males. 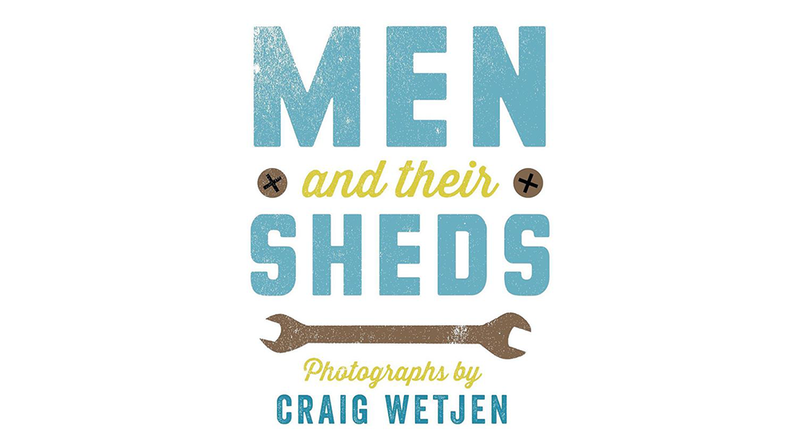 Craig photographed a 101 men for his book Men and Their Sheds “the backyard shed” to complete a historical publication, to share the stories of proud Australian men in their sheds and promote community awareness of male health. Highlighting the positive effects a man’s shed can have on their health and wellbeing by giving them time out needed to deal with major life events like loss and depression and the power of mateship and tinkering. 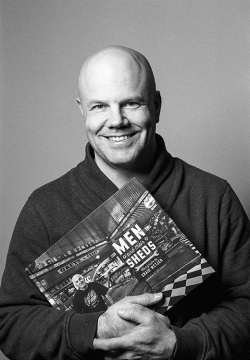 The outcome of this project produced a published book showcasing these 101 men in their sheds (102 if you count my own shed and self portrait which my children helped with) as photographic art by Craig Wetjen (Ambassador/Speaker for Beyond Blue). A historical record for all to see and most importantly the families can reflect on your life’s enjoyment “The Shed” and their stories of what their shed means to them. The book Men and Their Sheds is now available. The book can be purchased Australia wide in book stores as well as Big W, Kmart and Target. The book will be available online at Echo Publishing, Booktopia, Angus and Robertson, Myer, Dymocks and for international purchasing is available at Book Depository. What a personal project can do for your wellbeing. Its about refining your skills with no pressure. at the University of Ballarat.